I have 2 brand new key fobs and RKE circuit board ready to be plugged into any 97-01 Jeep Cherokee. This is as simple as removing 2 screws from your dome light, unplugging the old board and plugging in the new board. Then put the two screws back and you're done. 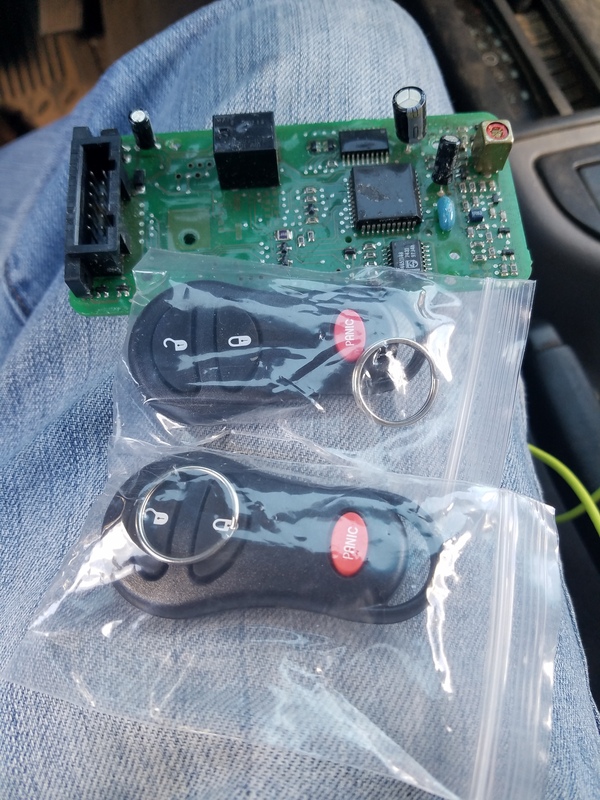 Yes this unlocks the doors remotely. No. you don't need anything else. Just plug it into the dome light on a 97+ Jeep.